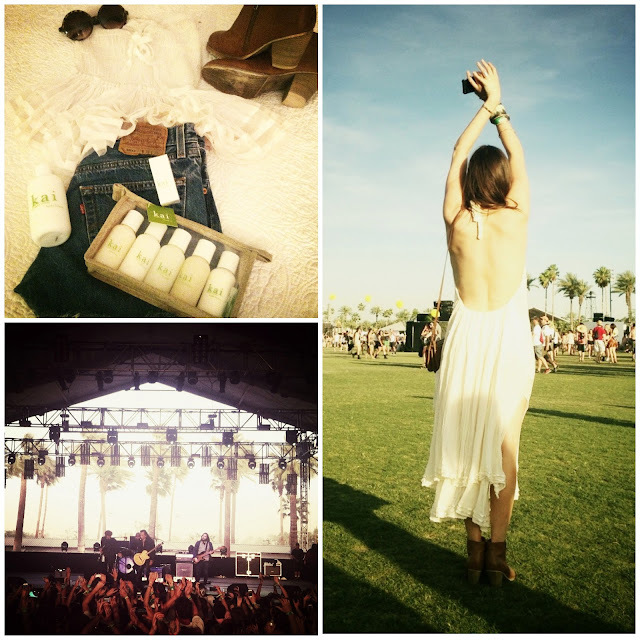 breath * life * flow: kai at coachella. it's that time of the year and once again bridget and chloe took the two hour trek to the desert for coachella music festival. it was hot, it was windy, but i don't think they cared much as it sounds like fun was had by all! i'll let them take it from here. it was my fifth year going to the festival and i have to say it was one of the best. we went with our usual suspects and all stayed at our favorite spot -- including pool time, sun soaking, and happy hour. between the Heinekin dome, the dance tents and pretty lights at the outdoor stage, the weekend couldn't be beat... then the wind storm hit! while i'm still dusting off the sand, i can't wait for next year! it was my first time to coachella and what an experience to remember. for me, the pink sunsets, my best friends, and the live music provided enough happiness to last me through summer. from the sahara tent to the main stage, i saw it all. however, i must admit, my favorite performances were the folky ones that made you clap your hands and dance along. as we drove home through the desert sand storm we couldn't help but plan coachella 2014. until next time!